Naturisimo, the UKs leading natural and organic beauty online retailer have just launched their limited edition Brilliant Body Discovery Box* (worth £37). 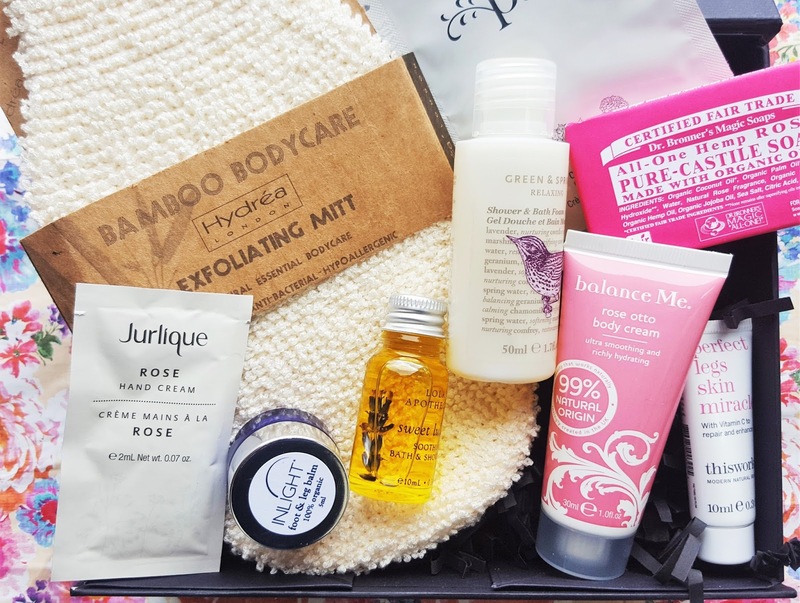 The box contains 9 natural body care products selected to pamper your body from head to toe for only £12.95 with free worldwide delivery while stocks last. Naturisimo’s signature chic little black box contains: a Hydrea Gentle Exfoliating Mitt, the Lola’s Apothecary Sweet Lullaby Bath and Shower Oil (10ml), Inlight Foot & Leg Balm (5ml), Dr Bronner Rose Soap Bar, Pai Comfrey & Calendula Calming Body Cream (10ml), Green & Spring Relaxing Bath Foam (50ml), Balance Me Rose Otto Body Cream (30ml), The Works Perfect Legs Skin Miracle (10ml) and Jurlique Rose Hand Cream (2ml). 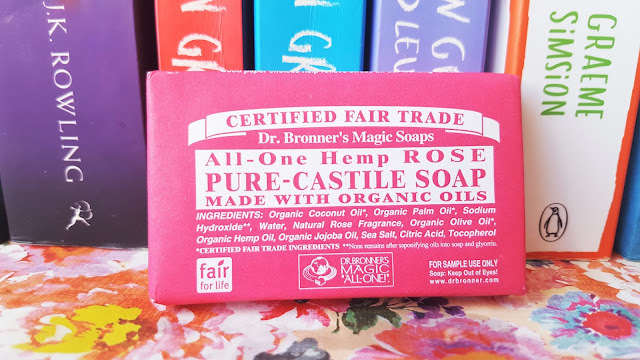 This beautifully scented 100% natural bio-degradable soap from Dr Bronner and the Hydrea Gentle Exfoliating Mitt included in this month’s are two absolute bathroom must haves. The Mitt, made from antibacterial exfoliating bamboo leaves skin feeling deeply cleansed and healthy while the soap contains fair trade and certified organic coconut, olive and jojoba oils in it’s creamy formula to leave hands smelling heavenly and feeling soft. 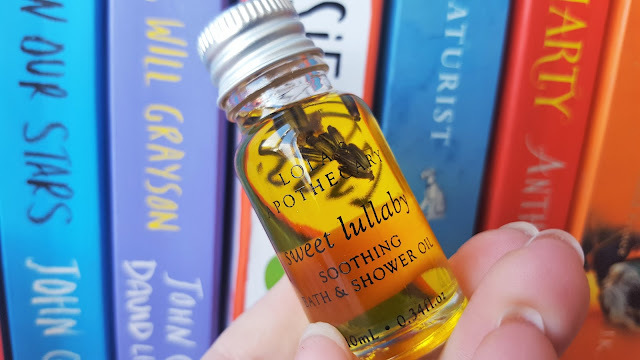 The Lola’s Apothecary Sweet Lullaby Bath and Shower Oil (10ml) is my surprise favourite from the Brilliant Body Discovery Box. The intensely, luxurious bathing oil can be used in the bath or shower, to relax, invigorate and calm your mind with essences of lavender, ylang ylang, sweet orange, patchouli and vanilla. The blend of essential oils is blissfully relaxing and makes for the perfect combination for anyone struggling to get a good nights sleep. 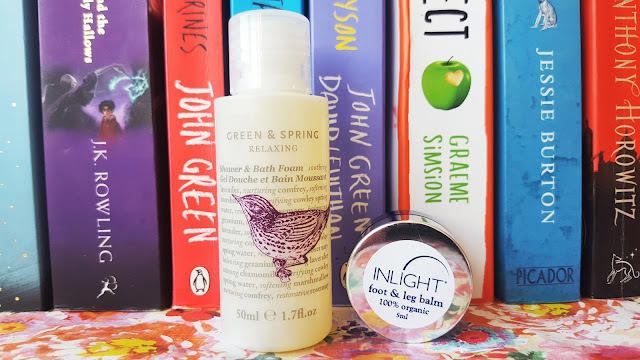 The Inlight Foot & Leg Balm (5ml) is a 100% organic & natural balm which melts into dry, rough skin to give aching feet a much needed sigh of relief. The aromatic balm is enriched with vitamin E, F and D, a combination of fatty acids, hazelnut oil for it’s nourishing and astringent properties and rosemary to stimulate blood circulation. The Green and Spring Relaxing Shower and Bath Foam (50ml) is a softening, soothing gel soak with chamomile, lavender and comfrey inspired by the English country garden. The bath foam is naturally free from artificial colours, fragrances, parabens, SLS, SLES, PEGs, petrochemicals and has not been tested on animals. 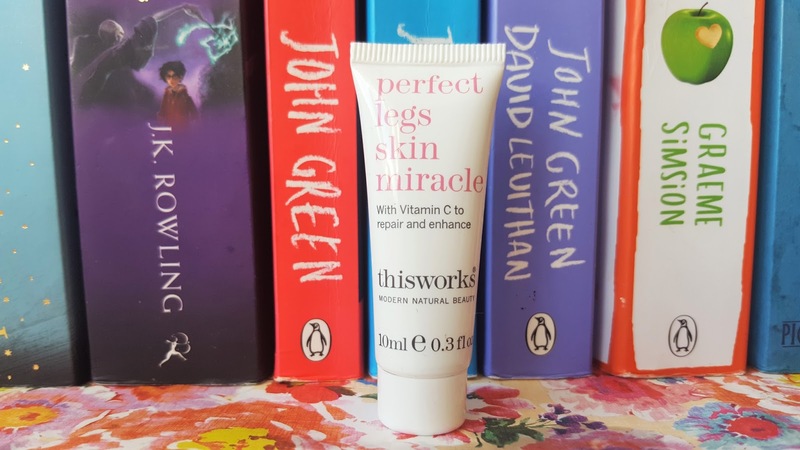 The This Works Perfect Legs Skin Miracle (10ml) is not like any product I’ve came across before. It’s a very light, caramel tinted leg serum which helps take the edge off pale skin whilst helping to heal bruises and even out skin tone. Enriched with Amica and Vitamins A and C, the luxurious serum covers existing imperfections and evens out discolouration and scars. It also gives my legs a delicate shimmer and a slight glow. This unique product is perfect for people with pasty legs that have been hidden all Winter like myself. Balance Me is a company I will never tire of receiving samples from! 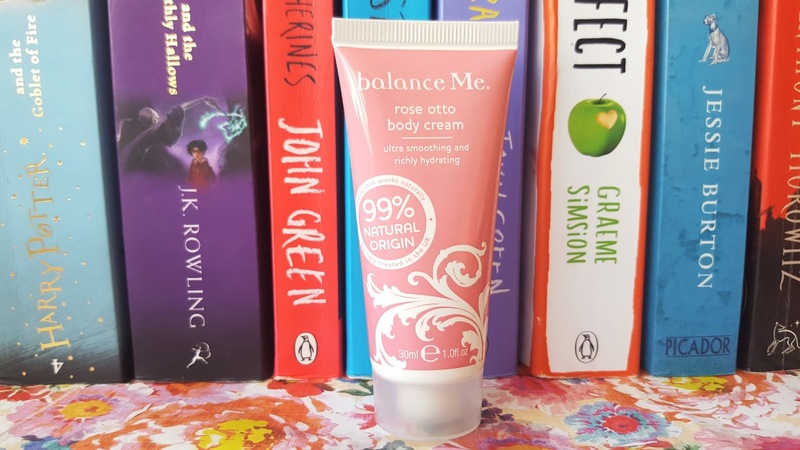 I was already familiar with their Rose Otto Body Cream (30ml) having used it numerous times in the past and was delighted to discover another tube in this beauty box. The rich body cream is hydrating and soothing and wraps your body in a blissful scent of rose otto, palmarosa and rose geranium essential oils that lasts all day long. 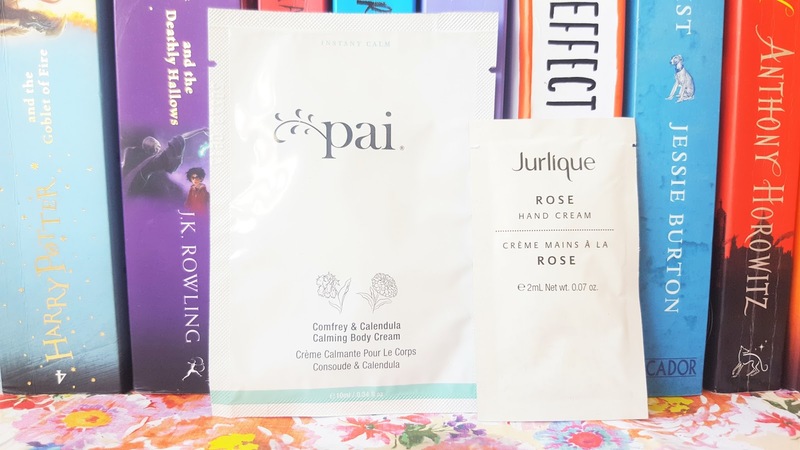 And finally, we have sachets of Pai Comfrey & Calendula Calming Body Cream (10ml) and bestselling Jurlique Rose Hand Cream (2ml). Pai isn’t a company I have heard of before but I found this lovely, vegan-friendly, body cream very kind and soothing to my sensitive skin. I was really impressed with my tiny sample of the Jurlique Rose Hand Cream and I can definitely see myself purchasing the full-sized product in the near future. The combination of rose, calendula and viola felt very rich and left my hands feeling soft, supple and pampered. The limited edition Body Brilliance Discovery Box (worth £37) is available here for just £12.95 with free worldwide delivery. It’s a great way to pamper your skin, try out some high-end products and discover new natural skincare brands. "NYX Pore Filler – A POREfessional Dupe?"